From October 2013 to November 2014, 31 patients were enrolled in Homeward Bound using iGetBetter, and as of December 1st, 2014, none of them had been readmitted to the hospital. This represents healthier patients in control of their disease along with a significant decrease in total medical expense. The average cost of one readmission within 30 days of an initial hospitalization is $27,000 per patient. Given that Brockton Hospital’s readmission rate for chronic heart failure is 28%, then it would be expected that eight of the 31 patients would have been readmitted to the hospital without the support of this program. This would have cost a total of $216,000. This decrease in total medical expenses more than covers the cost of the program for one year. In terms of daily work flow, the care plan asks CHF patients to use a BP cuff and scale both linked via Bluetooth to an iPad with an active Verizon Wireless signal. After stepping on the scale, clinicians can view a patient’s weight within 30 seconds, as well as BP/HR. The clinician sets normal ranges for weight/BP/HR for each patient; only those patients who record data outside of these ranges trigger an alert. Those alerts show up on the clinician iGB display, and clinicians need contact only those patients who generate an alert (previously they were calling all problematic patients daily). The program on the cardiology side has been so successful for Brockton that they became a commercial customer of iGetBetter as of October, 2014, and they are expanding from CHF to now include 25-35 COPD patients. The COPD patient enrollment started Sept 16, 2015. Over the past several years, Partners Healthcare has successfully implemented their Connected Cardiac Care Program to lower hospital admission rates for CHF patients by 48%. Partners Healthcare sought to use the iGetBetter system as a means of streamlining this process, cutting costs, and further decreasing readmission rates while improving patient reported quality of life issues. The Center for Connected Health enrolled 20 Congestive Heart Failure patients from Massachusetts General Hospital to take part in a feasibility study of the iGetBetter system. Each patient was enrolled for 90 days and given home care plan instructions via iGetBetter software. They were taught how to use a wireless scale and a blood pressure cuff coupled to an iPad Mini to monitor their daily weight, blood pressure, heart rate, as well as report their daily medication compliance and activity level. The study was designed to examine the following: feasibility of use of the iGetBetter system; patient hospital utilization rates; self-reported quality of life and satisfaction with the iGetBetter system. Overall, all patients liked using the measurement devices and found them very easy to use. An overwhelming majority of patients (>80%) reported feeling comfortable and satisfied using the iGetBetter system. Only 5% of patients in the study group were readmitted within 30 days, compared to the overall MGH 30-day readmission rate of 23.4% (for 2013 as reported by CMS). Engagement with the iGB system was incredibly well-sustained for most patients throughout the entire 90 day period. A large majority of patients (~90%) reported that iGetBetter made them feel more connected to their clinical team and more confident performing their own home care activities. 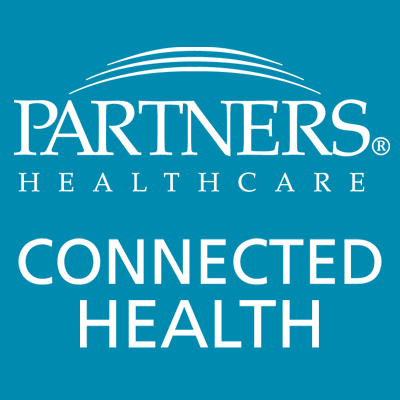 The Partners HealthCare Center for Connected Health CHF study was conducted in the Summer and Fall of 2013 and published on April 1, 2015 in the Journal of Medical Internet Research (JMIR). View the study here.